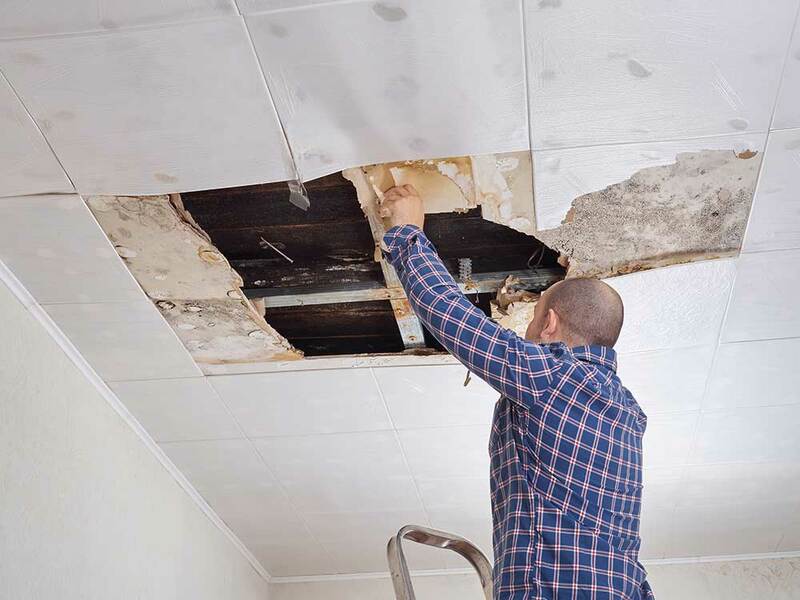 When storms cause damage to roofs and ceilings, pipes burst, or rot and wear allow water to enter and damage your ceiling, contact the professional ceiling leak repair company, Carolina Water Damage Restoration. 24 hours a day, 7 days a week, our technicians are on call for ceiling leak repair in Cary NC. 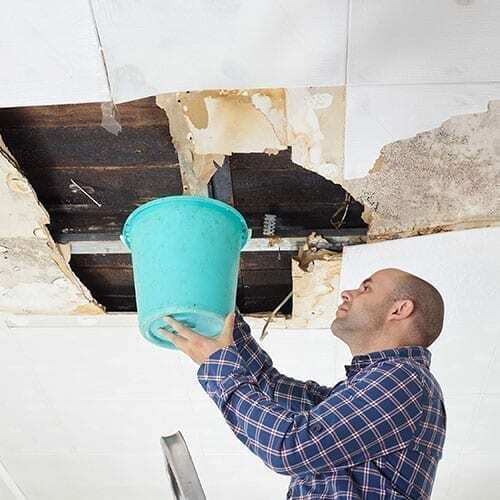 With IICRC certification, the best water damaged ceiling repair tools in the business, and extensive knowledge and experience in all things water damage, Carolina Water Damage Restoration is your go to source for ceiling leak repair in Cary NC. Whatever the source of your ceiling leak, Carolina Water Damage Restoration has the water damaged ceiling repair solutions you need. Contact us online or call our ceiling leak repair company at 919-302-2729 24/7/365. Various issues can lead to water damage in your ceiling. Fallen limbs may damage your roof. Winds can rip shingles off, allowing water in. Bathtubs, toilets, showers, and pipes above may leak. Whatever has created the problem Carolina Water Damage Restoration has the water damaged ceiling repair services you need. The first step we take for ceiling leak repair in Cary NC is to locate and remediate the source of the damage. We have high tech water tracking tools that enable technicians to determine the path of water, as well as extensive experience in handling ceiling water damage cases. Once the cause of the damage has been remedied, we move on to water damaged ceiling repair. This may involve minor repair, including painting, adding ceiling popcorn, or patching drywall. Contact Our Cary NC Ceiling Leak Repair Company For a Free Consultation! Carolina Water Damage Restoration is here for all of your water damaged ceiling repair needs in Cary, Raleigh, Morrisville, Wake Forest, Wendell, Apex, Holly Springs, Knightdale, Chapel Hill, Clayton, Fuquay-Varina, Garner, Durham, and other nearby service areas. 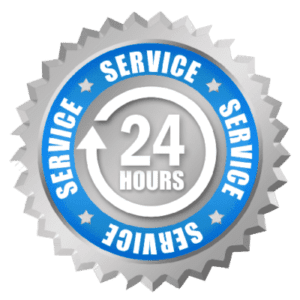 24 hours a day, 7 days a week, our ceiling leak repair company handles all of your water damage needs, including mold remediation, storm damage repairs, sewer backup cleanups, flooded basement restoration, home inspection repairs, and ceiling leak repair in Cary NC and beyond.